Osian’s Art Fund is back with a new website. And this time it plans to hold an auction on 15th December in Delhi. It has also announced that its dream project, Osianama, will be completed next year. These announcements have irked many investors and vendors who are still unpaid. They have demanded that the forthcoming auction be blocked unless they are paid in full. Osian’s new website is http://auctions.osians.com, where it has been announced that chief advisor Neville Tuli has invited all for an auction preview for ‘Creative India Series I- Bengal’, which features paintings from the colonial era. The auction will be held at The Imperial, Janpath, New Delhi. Moneylife has consistently written about the delayed payment by the Osian’s. Osianama—a grand museum of art, culture, cinema and architecture, and Mr Tuli’s dream project, will be completed in 2012. Mr Tuli had bought the plot where Mumbai famous Minerva Theatre used to stand for Osianama, but the deal got delayed when Osian’s ran into trouble with the civic authorities. Osian Art Fund, a three-year closed-ended fund launched in 2006, ran into trouble after it declared Net Assets Value (NAV) but when investors tried to redeem the money, it was not possible. It raised Rs102.40 crore from 656 unit-holders across 39 cities, most of them high net-worth individuals (HNIs). The scheme used to declare NAVs showing 30% returns, but when it was time for redemption, the money wasn’t forthcoming. The Securities and Exchange Board of India (SEBI) had also issued it a show-cause notice in November 2007 asking why it should not be regulated as a collective investment scheme; it also issued an advisory that civil and criminal proceedings can be started against art funds that were not registered with SEBI. The scheme was wound up on 10 July 2009, at which time Mr Tuli wrote to investors that redemptions would be made over the next 120 days as per the terms of the redemption guidelines. But by October, when the money wasn’t forthcoming, Moneylife was the first to report on Osian's problems (Read Osian Art Fund delays payout). Kyle Bass, a strong advocate of gold, was one of the earliest to have spotted the big problem in the US housing market and made huge money for his clients. Bass founded hedge fund after saving $10million from his Wall Street stint. He has now bet against European countries including Greece. Bass keeps huge gold bars in his desk drawer and owns 20 million nickel coins. In his latest letter to his limited partners, Bass offers his crystal clear views on what lies ahead for Europe and Japan. The Delhi High Court has asked Commissioner of Police and the Economic Offenses Wing (EOW) to investigate into an alleged scam committed by Religare Securities, its directors and officials and file a detailed status report by 1st March next year. The Delhi-based Investor Protection Group (IPG) had filed a writ petition in the high court against the Commissioner of Police and EOW for not acting on their complaints against Religare Securities. The IPG alleged that Religare Securities had done some unauthorised trading without the consent of its clients to the tune of Rs200 crore to Rs500 crore. Criticising the inaction of investigating authorities despite providing evidence, IGP, says that “interestingly, the victims themselves have brought the evidences that are deliberately not seen/ignored by the police. Some of the victims have carried out sting operations and made an audio-video recording of the racket that is being carried out, but the police are deliberately and intentionally not taking any action against the ‘powerful and influential’ brokerage”. According to IPG, the brokerage is duping and defrauding people by carrying out trading without taking any instructions from its clients for earning more brokerages per transaction and the total amount of trading could be between Rs200 crore to Rs500 crore. Despite thousands of such complaints filed by number of investors across different police stations in the capital, no action was taken, the group claimed. According to the petition, one such investor, Sunil Aggarwal lost Rs55 lakh because of the illegal trading that was carried out in his account by Harpreet Singh, an employee of Religare. Mr Singh is also a habitual offender and a case was registered against him while he was in India Infoline and yet he was never been interrogated by the police, the petition said. Another person named Sachin Bhardwaj was allegedly defrauded by the brokerage by carrying out trading in his account, without his consent in derivative segment while he had chosen only cash segment. He was sent his account statements through e-mails and after tracking the IP address, it was revealed that the mails were sent from Religare servers. In other instances, people have complained about misuse of their power of attorney (PoA), where shares from their account were sold. In one particular case, IPG alleged that Religare Commodities was involved in money laundering. “It was highlighted with evidence that different pay orders of about Rs11.36 lakh favouring Religare Commodities were issued by Standard & Chartered Bank and ICICI Bank given on behalf of Gaje Singh (proprietor) and duly credited to the company account. However, the entries were not shown in Mr Singh’s account but reflected in a third party account in the name of Punjab National Bank, which certified that it never issued the said drafts or pay orders. After that, the Forward Market Commission (FMC) held Rs11.36 lakh as security from the Religare’s account,” the petition stated. 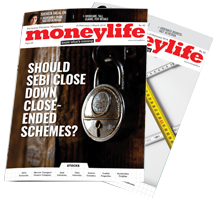 Moneylife contacted Religare Securities proactively, with a press release and all other documents related to the issues which were sent by IPG. I am also the victim of the Globe Commodities Ltd. Without My permission/POA. They have traded themselves and made the capital which i invested nil, how do i become the member of the individuals who filed the writ petition.Please let me know sir. I am also the victim of the religar without our permission they have traded themselves and made the capital which i invested nil, how do i become the member of the individuals who filed the writ petition.Please let me know sir. i totally endorse the view of Mr Vikas Gupta that the regulatory mechanism is being misused to help the big brokerages without going through the material evidences produced before the regultor. i have filed several proof with the SEBI against this Religare securities and their financial arm Finvest as how they have misused the POA with the help of local noatry public the NSDL knowingly allowed the operations with the illegal POA but the SEBI had not taken action. the Depositry account tampered and the NSDL and NSE both are supporting the Brokerages and the sebi, even after the proof keeping quiet without taking action in line with the SEBI [depositories and participants] regulations 1996, sebi act 1992 and the Depository act 1996. like that several factors and material evidences produced before the sebi but all in favour of the Religare group without any action. IF the sebi is not taking action then what is the necessity of its existences. for each and everything we have to approach the court/police why should we require the regulatory body? i have filed the complaint on the notary who illegally authorised the POA with the Govt. of Tamilnadu and high court/PDJ and presently the enquiry is going on in PDJ. one consumer complaint already filed with the NCDRC [admitted] against the misuse of the POA for opening the Bank ac against my name in N Delhi by Religare.another one Consumer complaint is pending. one FIR also filed on the Executives of the Religare [fortis] group, fortis finvest , HDFC bank, NSDL and notary public with the Coimbatore Crime branch already. the arbitration and conciliation is mockery and the brokerages are enjoying this facilities provided. what is pathetic is there is no accountability and responsibilities. arbitrators supposed to know all the depository norms, stock exchange rules, sebi act lacking and incompetent a no authorities are bothering about these poor qualities. i have taken several communications with the evidences but who cares. of course they are all enjoying the tax payers monies. It is astonishing that such a misappropriation ( if true) could happen on such a large scale, and moneylife has done a good job to bring this to notice of investors. However it has been silent on the role of SEBI as well as the stock exchanges. The Brokerages are supposed to operate under the strict supervision of the Stock exchange ( BSE or NSE). Had the investors approached any of the stock exchanges? Had they approached SEBI? If so what was the response of the stock exchanges or the regulator? 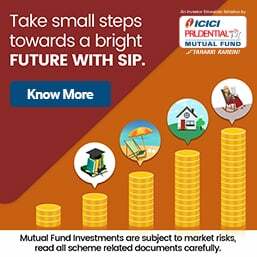 What type of Portfolio investement schemes are valid in India? Is SEBI required to supervise them? Is any audit required of the brokerages? If so what was the result? Is one expected to go to Police or the Courts only for misdoings in a brokerage account? Has moneylife itself approached SEBI or the Stock exchages? The answers to some of these questions will be very informative for investors. Thanks anyhow for bringing out an astonishing story.